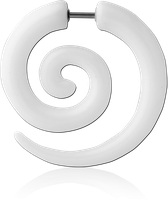 Body spirals, ear spirals and twister rings are a striking variation on many standard piercing styles, and a versatile addition to any studio catering to the more adventurous piercing fan. 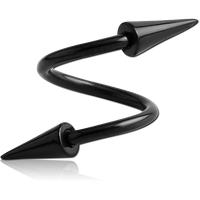 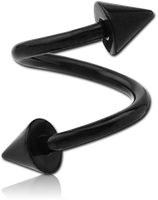 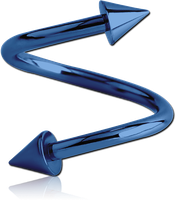 They can be used as an alternative to barbells, with removable balls for optimal customization. 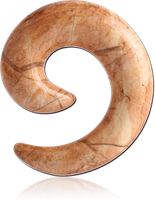 Ear spirals are generally used in ear piercings that have been stretched, being held in place naturally instead of with a ball or stud. 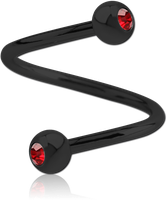 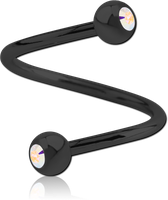 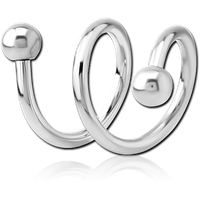 Twister rings and body spirals are uniquely shaped and eye-catching forms of body jewelry, suitable for many piercings such as the ear, navel, lip, or eyebrow. 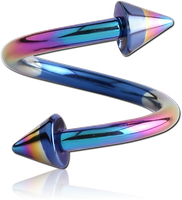 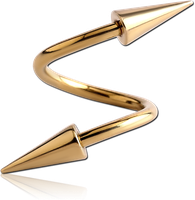 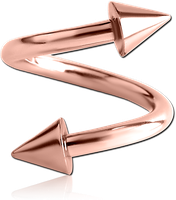 Stock up in style with our huge collection of body spiral jewelry, twister rings and ear spirals, available in our usual variety of exciting styles, sizes, colors, and materials.